The Federal Energy Regulatory Commission (FERC) this week approved a flexible ramping product proposed by the California Independent System Operator (CAISO). The product is designed to help CAISO with the growing amount of renewable resources on its grid and the uncertainty it causes in its day-ahead and real-time electricity market. FERC rejected calls from some distributed energy providers to make the ramping product biddable. The operator's existing frequency regulation service addresses some of those grid issues, but CAISO opted for a new product to preserve capacity for regulation service and because using frequency regulation when a ramping service could be used could distort regulation pricing. Your favorite source for news from the global geothermal energy community reached yet another milestone this week. Since it's launch in December 2011, Global Geothermal News has been viewed over 500,000 times. Over that 5 year span just over half of the audience is from the United States, followed by Russia, Germany, France, Ukraine, United Kingdom, Indonesia, Philippines, Canada, and China. The growth over this time has been exponential as can be seen in the graph on the right. Global Geothermal News will continue to grow to expand in the future. Almost 7,400 news items have been posted in the 5 years covering the geothermal energy community around the world. All of those articles are searchable from the search box available on the front page - a valuable tool. Global Geothermal News is updated at least twice a day so you can rely on the site to provide you with the latest geothermal energy news. You can also sign up to get a daily digest of the news by providing your email. A message will appear on your desktop with the latest geothermal energy news at about 2 pm PST. The GRC is proud to provide this service to the global geothermal community. If you have any questions, or have any leads to stories we might have missed please contact Ian Crawford at icrawford@geothermal.org. PT Pertamina Geothermal Energy (PGE) will begin geothermal exploration in the area of ​​Bukit Daun, Rejang Lebong and Lebong, Bengkulu Province, starting mid October 2016. President Director of PT PGE, Irfan Zainuddin, said the first 7 wells, had been drilled in Hululais, Lebong District. PT PGE will drill the first well at Bukit Daun as a preliminary step to determine the size of the geothermal energy resource. "We predict that there is a potential of about 90 megawatts at the site of Bukit Daun. Right now, we've been building the infrastructure for the purpose of exploration," he said. The company is targeting 310 MW of geothermal energy capacity in the area by 2024. Science & Technology: Geothermal Energy - You're Needed....On Mars! If SpaceX founder Elon Musk truly wants to die a natural death on the Martian surface he’s not only going to have to get there, he’s going to have to survive there for years, if not decades. The latter arguably requires some sort of long term source of energy. Initially, such energy could be provided by solar and radioisotope thermoelectric generators (RTGs), but over a generation, Mars colonists will require some sort of in situ heat and electricity generated from the planet itself. Thus, why not tap into Mars’ potentially abundant sources of geothermal energy? Geothermal energy, in the form of geothermal heat or either electricity generated via steam turbines from potentially hot geothermal reservoirs is the most viable option for near term Martian colonization. 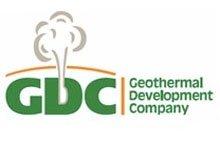 GDC sold steam equivalent to 320 megawatts, helping tilt Kenya's energy mix in favour of geothermal power which is green and cheaper compared to thermal power. California recently set a new goal to increase the renewable content of its electricity from one third to 50 percent by 2030. The state also has a goal to install 12,000 MW of renewable distributed generation. The Energy Commission is tracking progress toward achieving its renewable goals and the status of permitting and constructing new renewable energy facilities in California. The GRC Annual meeting & GEA GeoExpo+ will be held October 23-26 in Sacramento, California. The annual Call for Papers for the UK’s largest conference devoted to renewable and low carbon energy solutions has been published. It appears both in a launch newsletter just hitting thousands of desks in hard copy and pdf formats, and online at www.all-energy.co.uk. 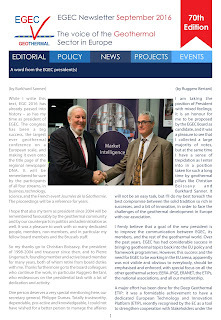 The September issue of the EGEC Newsletter is now available. What’s happening in Brussels this summer? The new board of the European Geothermal Energy Council elected at the European Geothermal Congress. How is risk mapped in Geothermal and Petroleum industries? 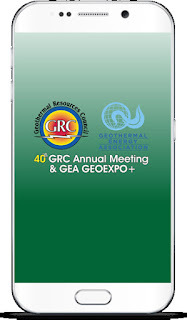 The GRC are again providing a Mobile app for the GRC Annual Meeting & GEA GeoExpo+. 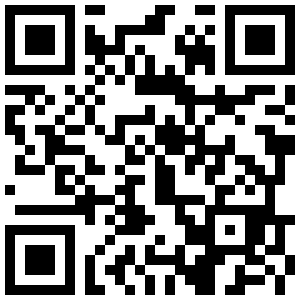 It is now available to download to an iPhone, Android or Windows Smartphone, tablet or laptop computer giving event attendees better access to information and networking. The Town of Hinton, Alberta has announced a partnership with Epoch Energy of Calgary, to advance Hinton Geothermal; an innovative district energy heating system leveraging heat energy from deep, hot reservoirs in the Hinton area as well as a future goal of geothermal power generation. 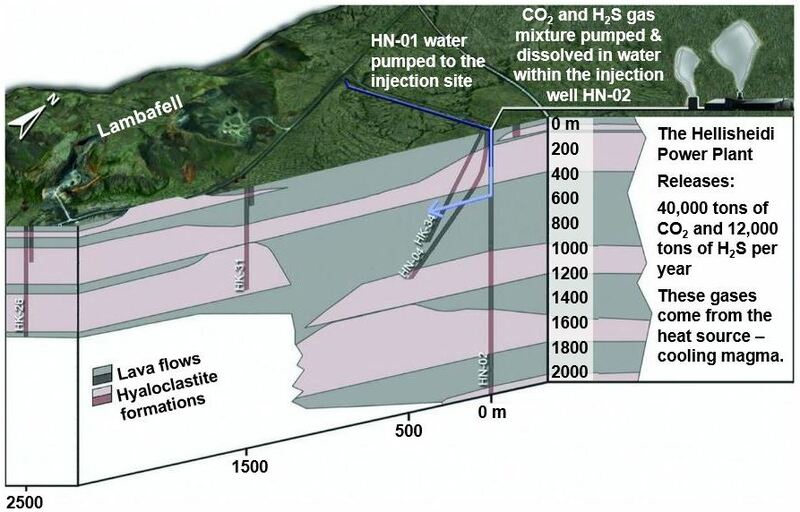 Hinton's location is central to oil and gas exploration, well bore infrastructure, and the requisite geology to be repurposed for geothermal energy-an approach that is creative and novel in its vision. There are 4000+ wells drilled below 2,500m within a 70km radius of the Town of Hinton, some of which have bottom-hole temperatures higher than 140 degrees Celsius. Through research to-date and general understanding of the region, Hinton is located in a hotspot of geothermal potential from hot water aquifers in the Western Canadian Sedimentary Basin. The four-day-old Sawmill fire burning in The Geysers was 95 percent contained Thursday morning, according to a Cal Fire news release. Fire crews have been battling the blaze since it erupted Sunday morning in the drought-stricken hills in the northeastern part of Sonoma County. The fire’s footprint was reported at 1,547 acres, up from 1,500 acres due to better mapping of the blaze, a Cal Fire spokeswoman said. Evacuation orders and road closures were lifted Monday evening and the fire didn’t damage any of Calpine’s geothermal facilities, officials said. Three GRC Fieldtrips will visit The Geysers from the 40th GRC Annual Meeting & GEA GeoExpo+, October 23-26, in Sacramento, California, USA. Energy in New Zealand 2016, released today, is MBIE’s annual round-up of the energy sector, highlighting key trends in energy supply, transformation, demand and price for the 2015 calendar year. The rapid increase in renewable energy’s share of Total primary energy supply (TPES) since 2008 has been driven by increased electricity generation from geothermal energy and reduced electricity generation from coal. As geothermal fluid is much lower in temperature than steam produced by a coal or gas boiler, the transformation efficiency of geothermal energy is significantly lower. The low transformation efficiency of geothermal energy (approximately 15%) contributes to New Zealand’s relatively high renewable TPES compared with most other countries. In 2015, oil accounted for 32%, gas for 21% and geothermal energy for 22% of New Zealand's TPES. Geothermal generation set a new record in 2015 of 7,411 GWh, once again the second largest generation source in New Zealand. Die Stadtwerke München haben die zwei Geothermieanlagen Dürrnhaar und Kirchstockach im Südwesten von München gekauft. Der Vorsitzende der SWM Geschäftsführung, Dr. Florian Bieberbach, erläutert dazu: „Wir freuen uns, dass wir uns mit HOCHTIEF und der BayWa einig werden konnten. Mit diesen zwei Geothermieanlagen steigt die Zahl unserer erneuerbaren Anlagen allein in der Region auf 43.“ Damit erweitert die SWM Ihren regenerativen Kraftwerkspark um 11 MW elektrischer Leistung. Stadtwerke München has bought the Dürrnhaar and Kirchstockach geothermal plants in the southwest of Munich. The Chairman of the SWM Board, Dr. Florian Bieberbach, explains: "We are pleased that we could come to an agreement with HOCHTIEF and BayWa. With these two geothermal plants, the number of our renewable assets rises alone in the region to 43. "This extends the SWM your renewable power plants to 11 MW of electrical power. A team of researchers led by Columbia University professors, Juerg Matter and Martin Stute, have a new solution: converting CO2 into stone! The impetus for the radical idea came in 2006 after the President of Iceland approached the University researchers for ideas to reduce the nation's already low gas emission rates, even further. 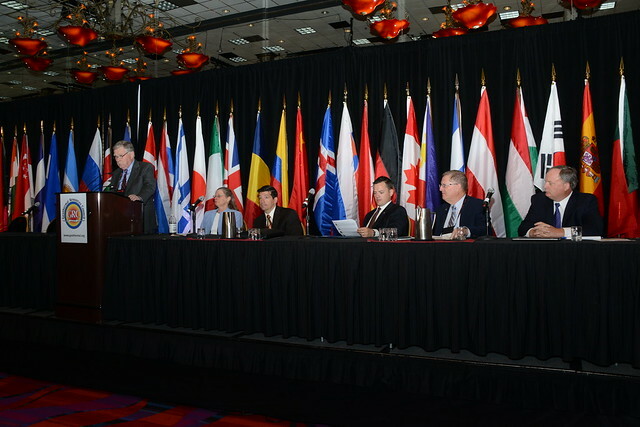 Major names in the international geothermal community and regional and national politics will address the geothermal energy industry at the GRC Annual Meeting in Sacramento, California, USA. The Geothermal Resources Council (GRC) has announced more details of events at the world’s largest annual geothermal conference, the GRC Annual Meeting & GEA Geo Expo+, held this year at the Sacramento Convention Center in Sacramento, California, October 23-26. Steve Ponder, Executive Director, Geothermal Resources Council. Entry to the GRC Opening Session is free to the public. State Senator Ben Hueso (D-San Diego) announced that Senate Bill 1074 has been signed into law by the Governor. This bill helps existing geothermal plants operating in disadvantaged communities by funding innovative minerals extraction techniques at those facilities has made its way to the Governor’s desk. Senate Bill 1074 specifically expands the eligible uses of monies in the Geothermal Resources Development Account (GRDA) to include projects to recover lithium, metals, agricultural products, and other beneficial minerals from highly mineralized geothermal brines at an existing geothermal facility that is in a disadvantaged community and provides local employment opportunities. The discount for hotel room reservations for the biggest geothermal energy event of the year have been extended for a short time. Reservations can now be made for hotel rooms for the 40th Geothermal Resources Council (GRC) Annual Meeting & Geothermal Energy Association (GEA) GeoExpo+, being held in Sacramento, California, USA, October 23–26, 2016. All the events and accommodation are in one central location, at the Sacramento Convention Center and neighboring hotels. The GRC has contracted with the Hyatt Regency for a discounted block of rooms for a limited time. There is a choice of rooms with either two double beds or a king bed starting at $145 a night excluding taxes and fees. Attendees can make their reservations on a secure website prepared specially for the GRC and GEA. The link is available from the GRC Annual Meeting website at: www.geothermal.org/meet-new.html. The GRC Annual Meeting & GEA GeoExpo+ is the industry’s largest annual gathering of leading geothermal energy scientists, producers, renewable energy industry stakeholders, regulators, utilities, and key associated business leaders. The four-day event will offer technical, policy, and market conference sessions, educational seminars, tours of local geothermal and renewable energy projects, trade show and numerous networking opportunities. Mexican-born geothermal power consultant Enrique M. Lima Lobato is working to popularize geothermal power use around the world. Enrique M. Lima Lobato is currently Executive Officer of West Japan Engineering Consultants, Inc., a subsidiary of Kyushu Electric Power Company and Senior Reservoir Engineer of the Geothermal Business Division. Lima comes from Mexico, another country situated along the Ring of Fire. 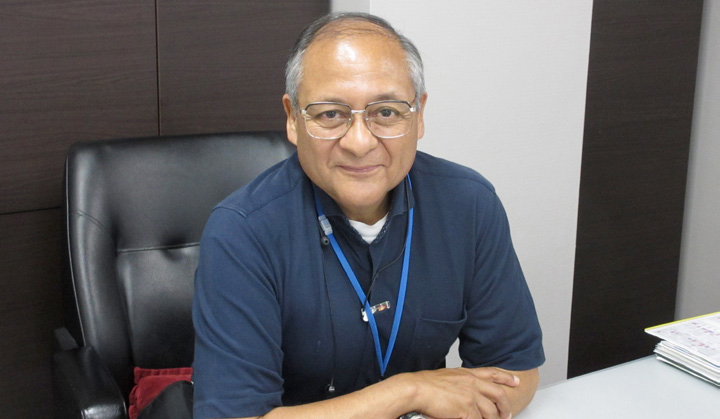 He studied nuclear power engineering at the National Autonomous University of Mexico, and visited Japan in 1971 as part of the first group of participants in an overseas study exchange program between Mexico and Japan. Kenya's electricity generating firm is set to being construction of (the Olkaria Unit 5) 140 MW geothermal power plant in Kenya before the end of the year. "The process to identify the contractor will begin in October and so we hope to finalize the tendering process to select the contractor soon so that the ground breaking ceremony for the 140 MW geothermal plant to begin before the end of the year," Rotich said. Turboden has designed and manufactured a unique single turbine of 16 MW electrical power to be operated in a geothermal power plant in Velika Ciglena (Croatia) by Geoen - MB Holding. The Organic Rankine Cycle (ORC) turbogenerator with a 5-stage axial turbine, designed and manufactured by Turboden, optimizes the performance with a rotation speed of 1500 rpm, while guaranteeing minimal vibration values (around 1mm/second) and smooth operation. The Velika Ciglena project, which will start operating in 2017, will exploit steam and hot water at 170°C to produce electricity to feed the local power grid. The region of Velika Ciglena is situated in the Bjelovar basin, in the north east of Croatia. Turboden will be exhibiting at the GRC Annual Meeting & GEA GeoExpo+, October 23-26 in Sacramento, California. The first harvest of tomatoes from geothermal greenhouses in the Çaldıran province of Van, Eastern Turkey, where temperatures can drop to -46ºC, is underway. The 34,000 m2 greenhouses heated by 120 kilometers of pipes were built with the support of the Ministry of Food, Agriculture and Livestock at a cost of 10 million Turkish Lira. Yusuf Taşkın, project coordinator at the Ministry, states that this is the first time geothermal greenhouses are being used in such cold temperatures in Turkey, “investors are following us closely. Our success will not only bring investment, but it will also take geothermal greenhouses in the country to another level”. Çaldıran Jeotermal A.Ş, the company which has invested in the greenhouses, expects to harvest 1,500 tons of the “Agro Van” tomatoes per year. 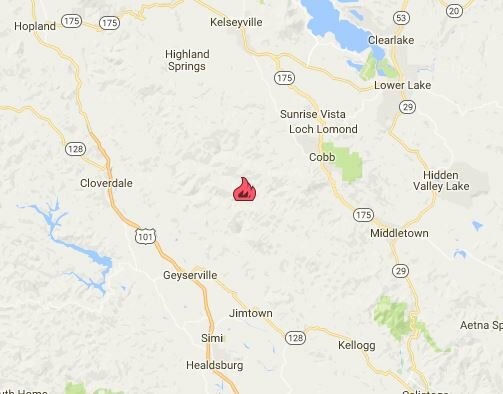 The wildfire off Big Geysers Road and Geysers Resort Road, 10 miles east of Cloverdale, that led to the brief evacuation of Calpine's Aidlin geothermal power plant at The Geysers is now 85% contained having burned 1,500 acres. Firefighters continue to improve, mop up and patrol the fire perimeter. Demobilization/or reassignment of resources has begun. Temperature’s forecast in the high 80’s. Lower temperatures and possibly some rain is expected at the weekend. Two geothermal working areas in Jambi and North Maluku, worth a total $420 million, will be offered by the government towards reaching renewable energy goals, a ministry representative said. The latest two projects are the 110-megawatt Graho Nyabu power plant in Jambi, which covers an area of 109,000 hectares and has an estimated reserve of 200 megawatts, and the 20-megawatt Gunung Hamiding power plant in North Maluku on 42,100 hectares, with an estimated reserve of 265 megawatts. Yunus Saefulhak, director of geothermal services at the Ministry of Energy and Mineral Resources, said investors can submit their offers by Oct. 20. Two more geothermal projects will be up on offer later this month — the 10-megawatt Gunung Galunggung in West Java and the 20-megawatt Gunung Wilis in East Java, and two more are being prepared for auction — the 20-megawatt Marana in South Sulawesi and the 65-megawatt Gunung Talang-Bukit Kili in West Sumatra. According to the ministry, 25 more projects with a total capacity of approximately 1,500 megawatts will be auctioned by 2018. Firefighters made good progress overnight increasing the containment line and are working on pockets of unburned fuel within the fire perimeter. Firefighters will continue to work on constructing and improving the fire line. Temperatures are expected to remain high throughout the day. The fire has burned 1500 acres and is 55% contained. Fire crews continued to battle a blaze burning close to a massive geothermal power producing facility in Sonoma County, officials said Monday. A blaze that erupted amid hot, dry conditions and gusty winds in Sonoma County north of San Francisco forced the temporary evacuation of one of its 14 geothermal plants. Brett Kerr, a spokesman for Calpine, which operates The Geysers geothermal complex, said evacuated employees were allowed to return to the plant, which started operating later Monday. All employees were safe and accounted for and the flow of electricity from the facility was not disrupted, he said. "Our remaining plants at the Geysers continue to operate normally and our team is constantly assessing the situation and will take all steps necessary to ensure the safety of employees and the preservation of our facilities," Kerr said in an email. 25 Days to the Geothermal Event of the Year! Firefighters continue to battle the Sawmill Fire burning north of Cloverdale in Sonoma County. The fire has scorched at least 1,500 acres since it broke out Sunday. Anne Makovec reports. Make your voice heard - The deadline to submit comments is Thursday, September 29. The geothermal energy industry in California has a tremendous opportunity to contract for more capacity. 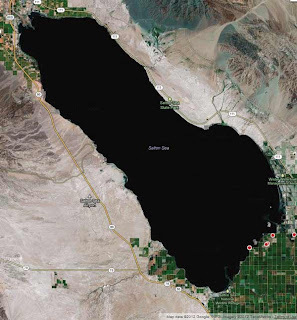 The U.S. government has recognized the importance of geothermal energy to restoration efforts at the Salton Sea and is investigating the possibility of issuing contracts for up to 250 MW of new geothermal power plants. A Request for Information has been published and the responses are due this week. The GRC strongly urges you to provide input to this important request. The Department of Energy's Federal Energy Management Program (FEMP) is seeking information on the availability for new construction of geothermal electricity in the Salton Sea area to serve regional federal load. The deadline to submit comments is Thursday, September 29. A robust set of comments from industry will help DOE determine steps moving forward, so if you are interested please make sure you submit comments by the deadline. The 20 MW Maibarara-1 geothermal power facility (Maibarara-1) in Batangas won the Geothermal Power Project of 2016 award at the Asian Power Awards held last September 21, in Seoul, South Korea, the operator of the plant said on Monday. The Asian Power Awards, now on its 12th year, is considered the Oscars of the power industry in Asia, recognizing ground-breaking projects and trailblazing initiatives in the power sector. The Maibarara-1 facility in Sto. Tomas, Batangas is owned and operated by Maibarara Geothermal Inc. (MGI), a joint venture among PetroGreen Energy Corporation (PGEC) with 65 percent), Phinma Energy (with 25 percent), and PNOC-Renewables Corporation (10 percent). A wildfire that erupted amid hot, dry conditions and gusty winds in Sonoma County north of San Francisco was burning close a massive geothermal power producing facility on Monday, forcing the evacuation of one of its 14 plants, officials said Monday. Building on the successful announcements by the President at the 2016 Lake Tahoe Summit to catalyze collaboration and action between the State of California and the Federal Government for conservation and renewable energy development in the Salton Sea, the U.S. Department of Energy, California Energy Commission, and the Geothermal Resources Council are convening a forum on October 20, 2016 in Sacramento, CA that will focus on overcoming technical challenges to develop geothermal energy resources statewide. This forum will feature a diverse group of speakers from government, industry, and research that will help facilitate discussions to target solutions for new geothermal development while remaining consistent with critical Federal and State conservation planning efforts, particularly at the Salton Sea. Registration is free and open to the public using the following link, but in-person capacity is limited. Remote attendance options will be made available prior to the meeting, and directions will be posted at https://geothermal.org/forum.html in the near future. The final agenda will also be posted on this webpage prior to the forum. Please contact Katherine Young (katherine.young@nrel.gov) with questions. 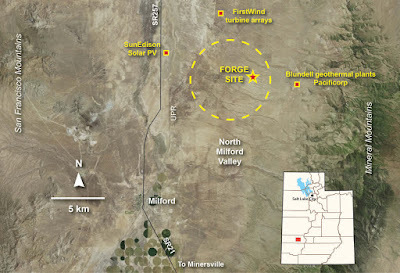 The goal of the FORGE project is to apply these hydrocarbon technologies to hot, tight rock to create fractured zones around geothermal wells. Cold water can be injected into one well so that it moves through the fractures and becomes heated before being intercepted by an adjacent well (the production well), releasing its heat at the surface in a power plant. This technology is sometimes called Enhanced, or Engineered, Geothermal Systems. Ségolène Royal, President of the COP 21 climate change process has announced the funding of 45 GW of renewable energy projects in Africa including 7 GW of geothermal energy. The list, representing a capacity of about 45 GW of renewable power, includes 62 solar energy projects with a combined capacity of 6 GW, 16 projects for a total of 5 GW of wind energy, 13 projects or 7 GW of geothermal energy, 58 hydroelectricity projects (20 GW), 35 projects combining more than one technology (1 GW ) and 4 national strategies for adding 8 GW solar and wind energy. The Indonesian government is aiming to increase Indonesia’s geothermal generating capacity to around 7,200 megawatts by 2025, as part of a broader plan to boost the renewables sector, which would likely make it the world’s top producer of the power source. A major part of the drive is a law passed two years ago that means geothermal exploration is no longer considered mining activity, as it was previously. The old definition had held up the industry as mining cannot be carried out in the country’s vast tracts of protected forests, believed to contain about two-thirds of Indonesia’s geothermal reserves. The government is also seeking to sweeten local administrations — which had sometimes resisted the construction of the steam-belching facilities — by offering them up to one percent of revenue from any geothermal plant in their area. Abadi Poernomo, chief of the Indonesian Geothermal Association, which represents companies involved in the sector, is upbeat about future prospects: “A lot of investors from abroad are coming to Indonesia with the intent to develop geothermal”. Firefighters are battling a wildfire near Cloverdale in unincorporated Sonoma County Sunday afternoon that has prompted mandatory evacuations. At least 36 homes have been evacuated since flames broke out. No injuries have been reported and no structures have been damaged or destroyed at this time, Cal Fire Capt. Tiffany Mercado said. The nearest Geothermal power plants to the fire are McCabe (Geysers Unit 14), Sulphur Spring (Geysers Unit 14) and Cobb Creek (Geysers Unit 12). The TOUGH (Transport of Unsaturated Groundwater and Heat) Steering Committee is preparing a set of TOUGH Short Courses to be offered October 31 - November 9, 2016. TOUGH2, TOUGHREACT, iTOUGH2, and TREACTMECH will be offered at Lawrence Berkeley National Laboratory in Berkeley, California, by members of the TOUGH development team. Lodging and transportation information is available at this website. The discount for hotel room reservations for the biggest geothermal energy event of the year will end next Wednesday, September 28. Reservations can now be made for hotel rooms for the 40th Geothermal Resources Council (GRC) Annual Meeting & Geothermal Energy Association (GEA) GeoExpo+, being held in Sacramento, California, USA, October 23–26, 2016. All the events and accommodation are in one central location, at the Sacramento Convention Center and neighboring Sheraton Grand and Hyatt Regency hotels. The Geothermal News Report (GNR) is a periodic podcast wrapping up the top stories in the geothermal industry. 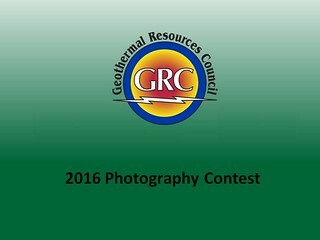 All 90 entries in the GRC Photo Contest. All the photos will be on display at the 40th GRC Annual Meeting & GEA GeoExpo+ from October 23-26 at the Sacramento Convention Center, Sacramento, California, USA. The winners will be announced in early October. The 40th GRC Annual Meeting & GEA GeoExpo+ will be held October 23-26 at the Sacramento Convention Center. Sacramento Municipal Utility District (SMUD) is sponsoring the GRC Annual Meeting with funds for the GRC Mobile App, Poster Session Printing costs and the Student Poster Awards. Thank you SMUD. From nearly losing the Kings to an accelerating downtown renaissance, the last few years have been quite a journey for our city and region. But of course, a long road makes success that much sweeter. Well done, Sacramento. Word of that development came from Premier of Nevis and Minister of Finance in the Nevis Island Administration Hon. Vance Amory when he delivered an address at the 10th annual Consultation on the economy hosted by the Ministry of Finance. "The geothermal project, the geothermal energy, we have been advised the developers with whom we have contracted to develop the program here in Nevis will have their drill rig in Nevis at the end of this month or at the latest by the middle of next month to carry on the exploration, to have the production wells done," he said. 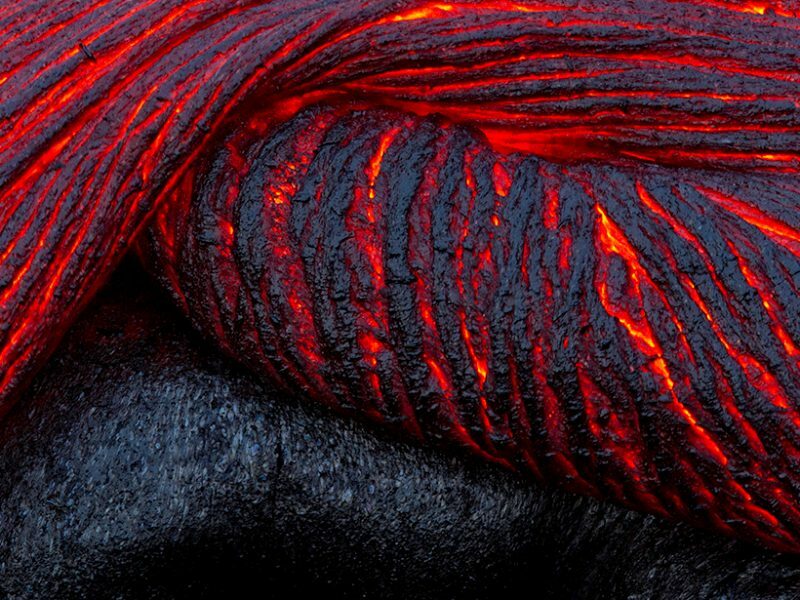 Science & Technology: What is Magma? GRC Annual Meeting & GEA GeoExpo+ - Register Now and Save! The deadline for early-bird rates for registration for the biggest annual geothermal event is today, Friday, September 23. The GRC Annual Meeting & GEA GeoExpo+ will bring together geothermal companies, academics, financiers, policy leaders, students, and other individuals to attend or exhibit at the event, to be held from October 23 to 26 at the Sacramento Convention Center, Sacramento, California, USA. Early birds who register before September 24 pay only $795 as GRC members or $995 if non-members. The non-member registration includes GRC membership through 2017. Students with a current identification card from an accredited institution pay just $5 which also includes GRC membership through 2017. Registration to the GRC Annual Meeting also includes entry to the GEA GeoExpo+ trade show. Registration is available from the GRC website at www.geothermal.org. A Preliminary Program complete with a Registration Form is available to view and download. However, the GRC recommends online registration through a secured connection. The link is also available on the front page of the GRC website at www.geothermal.org. The deadline for discounted hotel room rates is September 28. Hotel room reservations can be made by following a link from the GRC website at www.geothermal.org. Book now as there are only a certain number of discounted rooms available. Geothermal Exploration introduces the subject of geothermal energy and its development around the world. The text defines a series of 'geothermal play types' based on geological setting and then presents strategies and methodologies appropriate for each play type to move a geothermal exploration program to the stage of committing to exploration drilling. These methodologies include permitting, environmental, geology, geochemistry, geophysics and remote sensing techniques used throughout the world for specific play types. 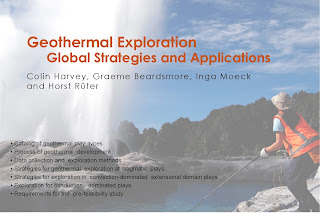 The book covers a large number of geoscientific techniques and focuses on their applications to both convective and conductive geothermal systems, with extensive reference to the international literature. Après 30 ans de recherche, le laboratoire scientifique de géothermie de Soultz-sous-Forêts devient un site industriel. La centrale, en service depuis juin, a été inaugurée ce vendredi. After 30 years of research, the geothermal scientific laboratory at Soultz-sous-Forêts is in industrial operation. 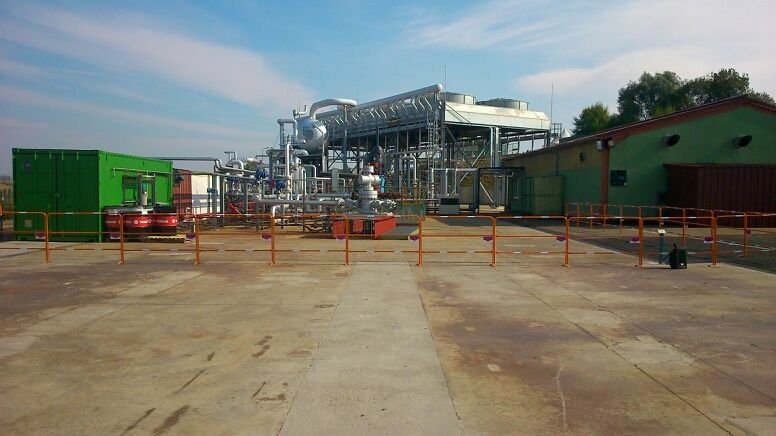 The plant, in operation since June, was inaugurated on Friday. The unexpected vote on Thursday night by 77 to 72 would bring the Netherlands clearly into line with the Paris climate agreement, with some of the most ambitious climate policies in Europe. Vancouver based Nevada Energy Metals Inc. has announced that a surface sampling program designed to test for lithium (Li) values in playa evaporates has returned significant geochemical results at the company’s 100% owned Black Rock Desert Project in Nevada. Results ranged from 82.8 to 520 parts per million (ppm) lithium with a median value of 182 ppm. Twelve samples carried over 300 ppm Li.